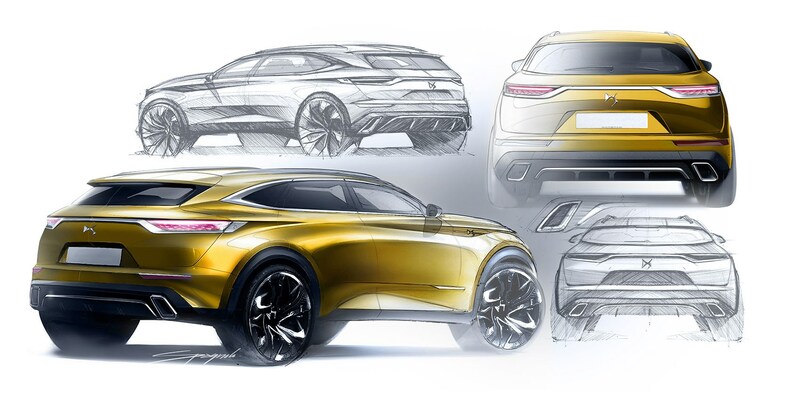 Another mid-size crossover is going electrified. 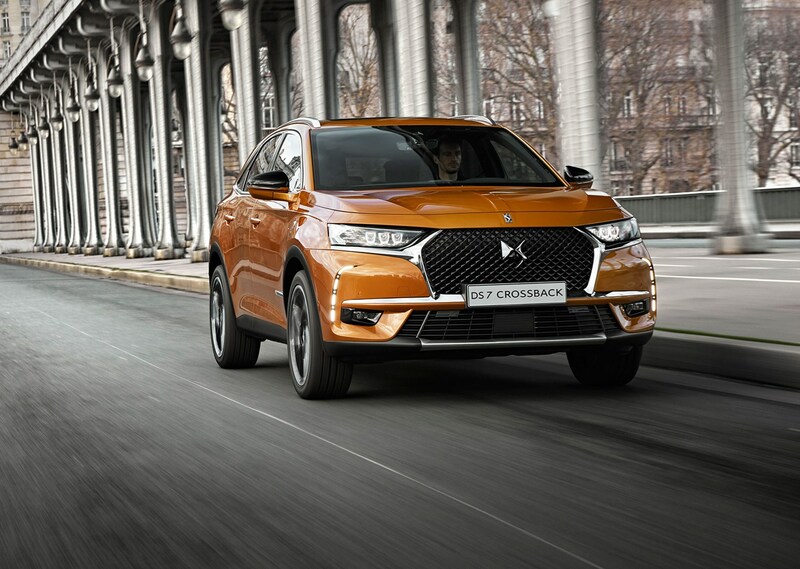 DS has introduced the 7 Crossback E-Tense at the 2018 Paris motor show. 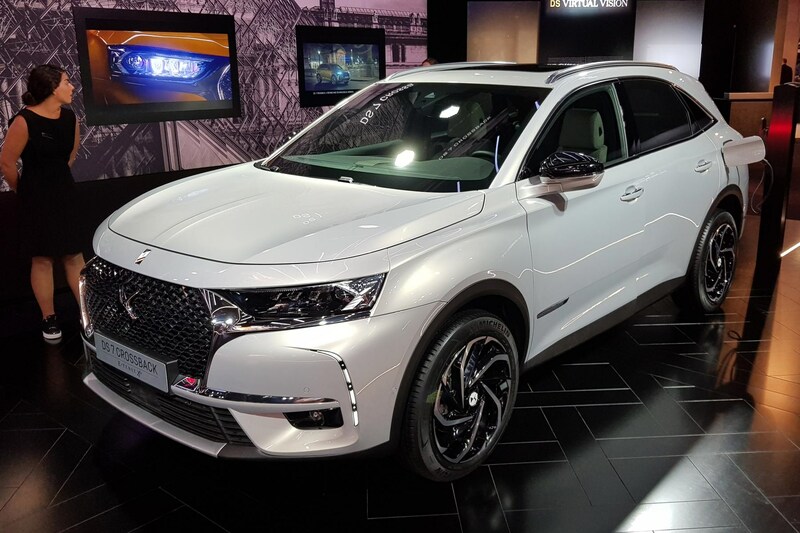 While the new DS 3 Crossback will come with a hybrid power train from the get-go, the DS 7 Crossback will feature a plug-in hybrid model first, in DS’s plans to introduce electrified versions of all of its new cars from now on. 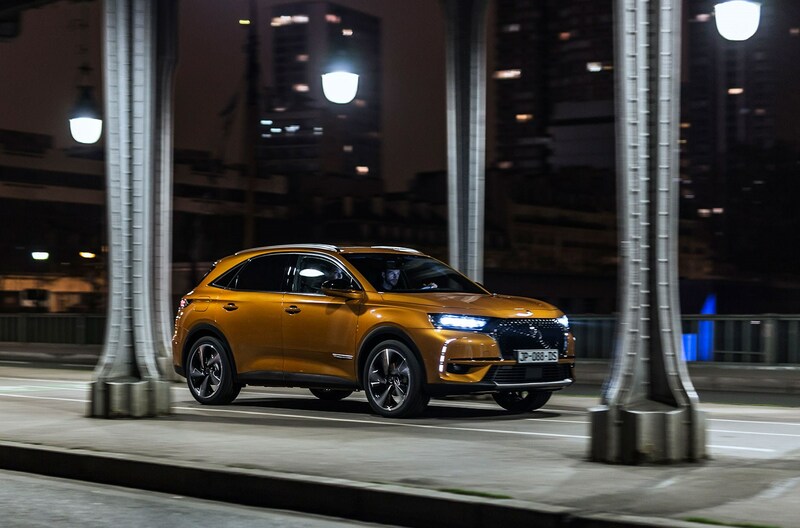 So, the DS 7 Crossback E-Tense has a hybrid powertrain that features a 197bhp petrol engine mated to a 13.2kWh battery and two electric motors at the rear wheels for hybrid four-wheel drive and 297bhp and 258lb ft total power output. 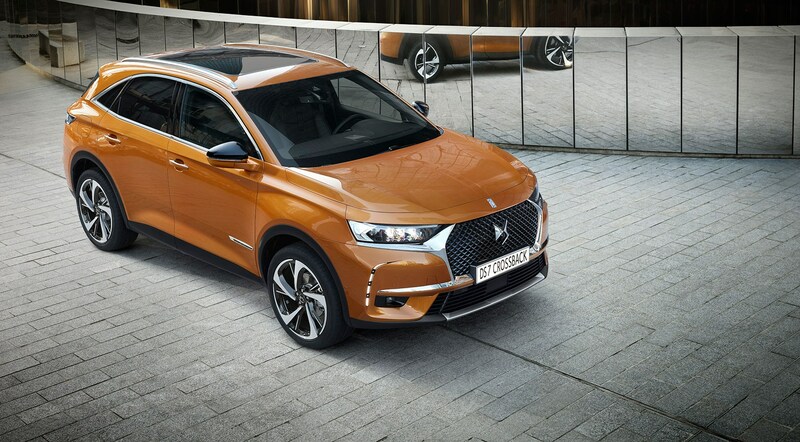 DS also claims the 7 Crossback E-Tense has 31-miles of zero-emission motoring and claims under 50g/km emissions. Up to 31 miles can be gained on electric power alone according to WLTP. Other details include unique 19-inch alloys, a new colour called ‘Crystal Grey’ and the navigation that shows how much of the route you can drive in zero-emission mode. 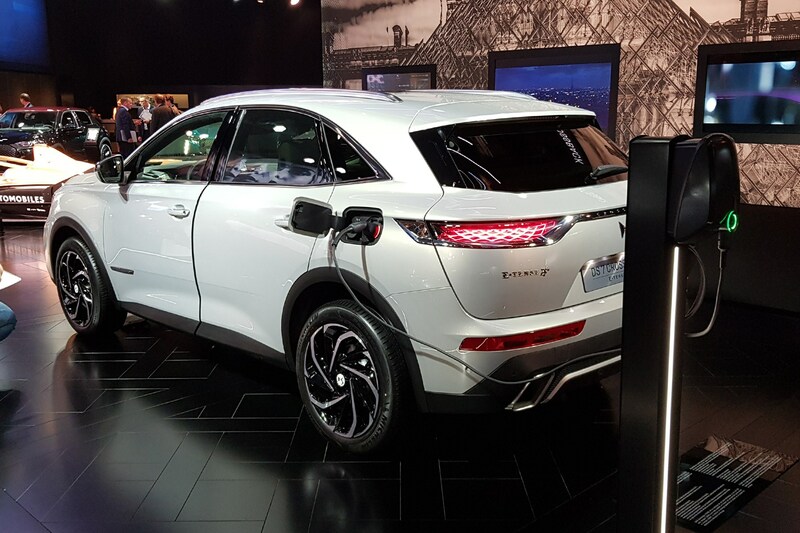 DS also claims that the battery can be charged in two hours via a 32A socket with a 6.6kW charger or eight hours via a standard socket. Is this the most high-profile first public test ever? 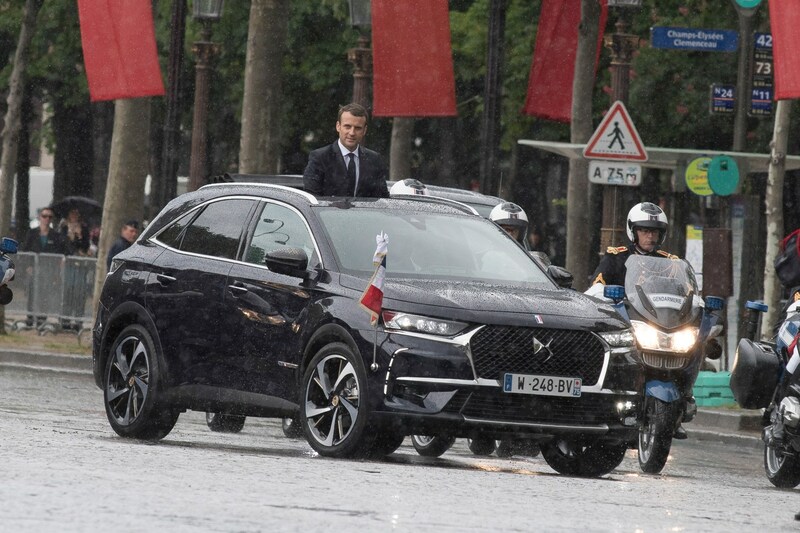 New French President Emmanuel Macron took his first journey to the Champs-Elysées in the all-new DS7 Crossback. 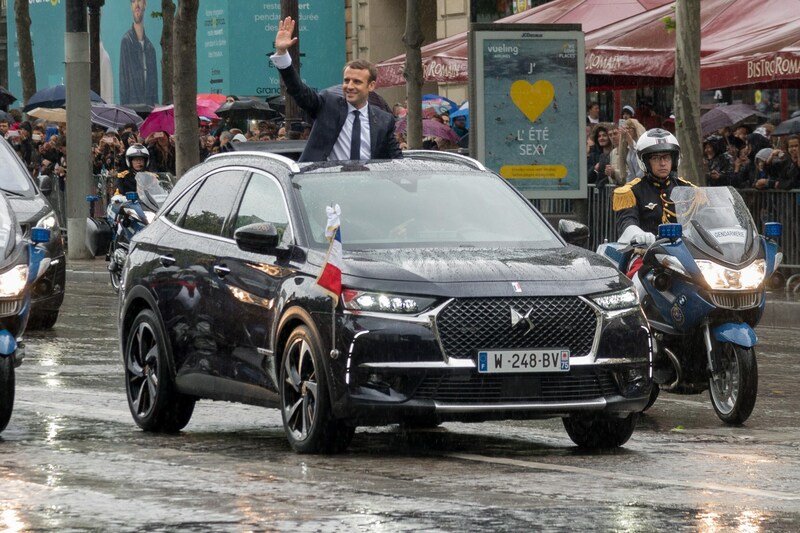 This unique presidential DS SUV is tricked out with a bespoke roof that fully opens up, so the new president could wave to the public at his inauguration, along with French Republic badging and Tricolour flags. Sadly, this won’t become a ‘Presidential Pack’ when the car goes on sale in 2018 – although who wouldn’t want to stand and wave to passers-by on their local high street blasting La Marsellaise? 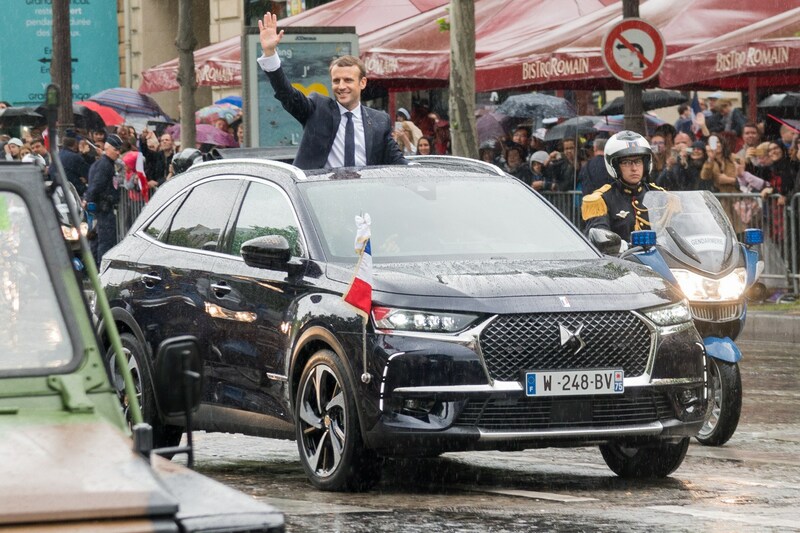 Along with the special details, Macron's personal 7 is finished in dark Ink Blue with 20-inch alloy wheels and black leather interior. 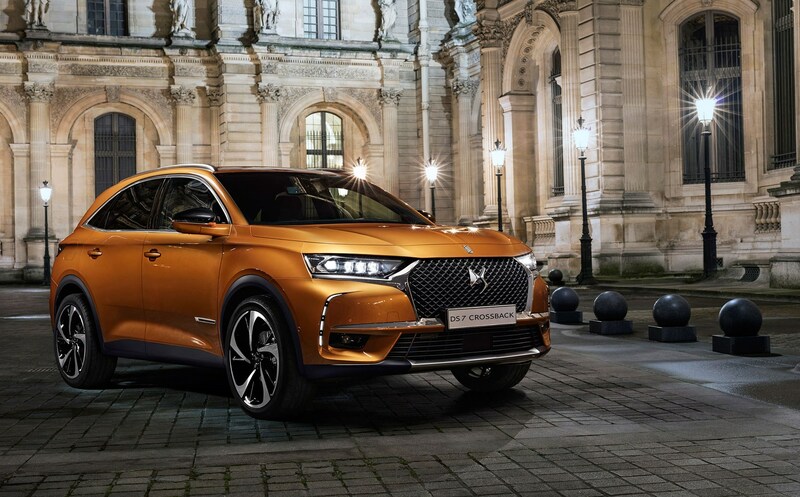 Aimed at the burgeoning ranks of compact premium crossovers, the DS7 will offer very nearly the space of an Audi Q5 at Q3 prices. Inside there’s room for five adults (and plenty of it) and a decent 550-litre boot (rising to 1750 litres with the rear bench stowed). Thanks to a hang-off rear electric axle for hybridised 4wd versions, there is no propshaft to steal foot- and legroom for rear-seat passengers. It’s only available as a five-seater, with no plans for a seven-seat spin-off. Those back seats recline individually to juggle space for limbs and luggage and it's chic and comfy in here - just watch out for the optional full-length glass sunroof, which predictably robs headroom in the back. 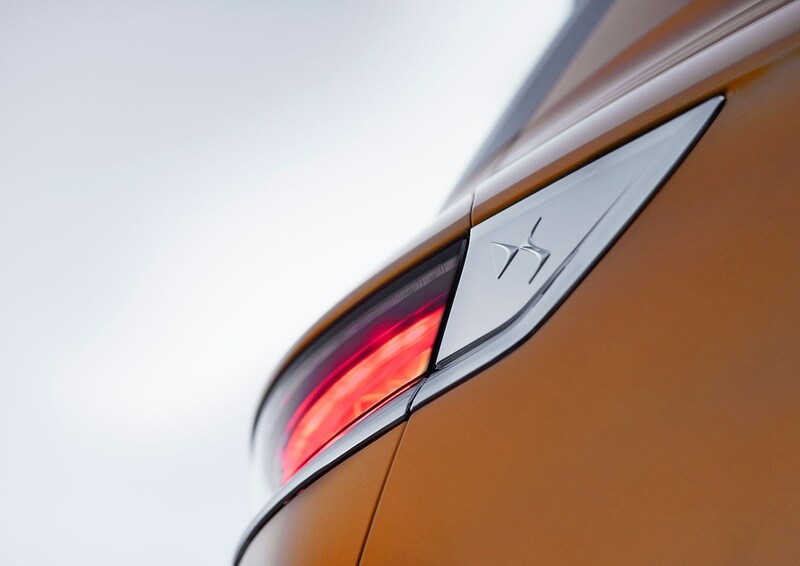 The DS7’s major party piece is some of the coolest headlamps yet to grace any production car. 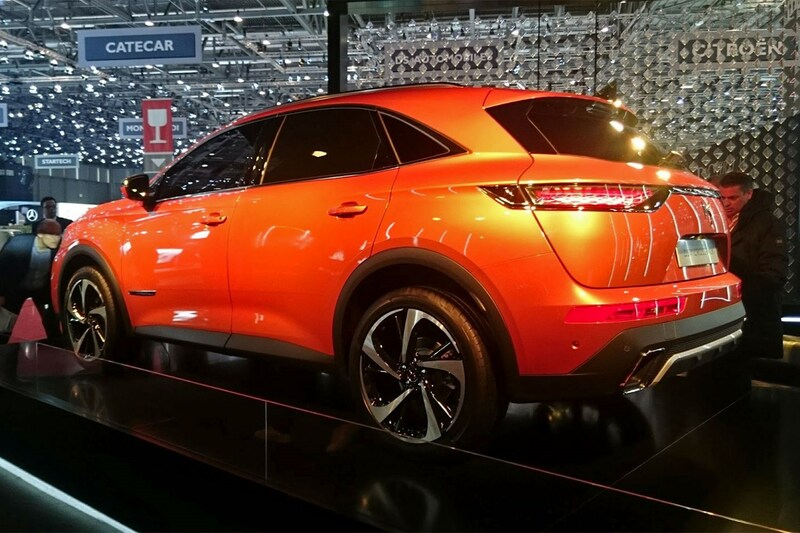 All but the entry-level models will sport active lights which pulse purple on unlock and actively swivel in a captivating show of illuminatory splendour at start-up. Bystanders will be impressed. The system by Italian lighting specialists Magnetti Marelli is the most cutting edge we’ve seen on a mainstream brand. CAR has seen them in action and can report they’re deeply cool – a stand-out piece of roadside theatre, we predict. The beam pattern is minutely controlled, with different illumination for urban, rural and motorway driving, and three individual LED beams on each side are minutely controlled, swivelling every which way for the modern-day equivalent of the directional headlamps on a 1960s DS. The rear lights (above) are pretty cool, too, using laser etching and plenty of lens trickery to give them a three-dimensional aura. 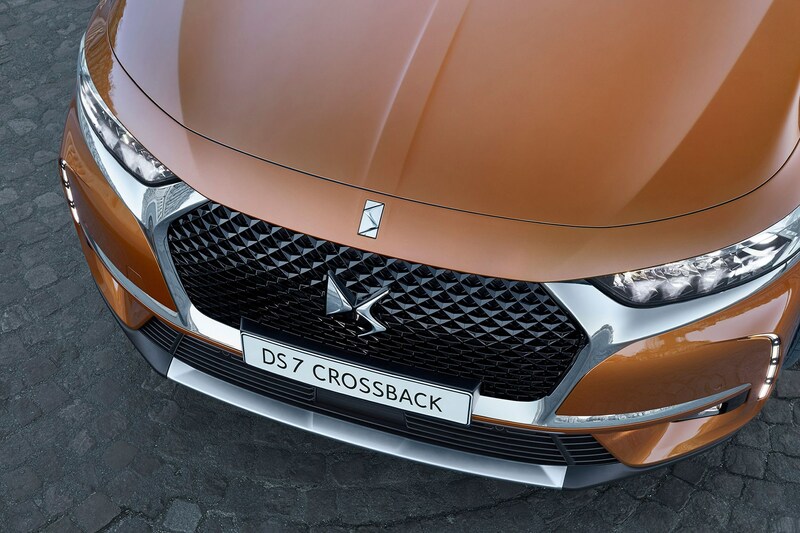 What else do we know about the DS7 Crossback? They’ve nabbed a trick or two from the premium sector, using 22 metres of adhesive in the construction to make a 25% stiffer and quieter structure (better for handling, refinement and crash safety). 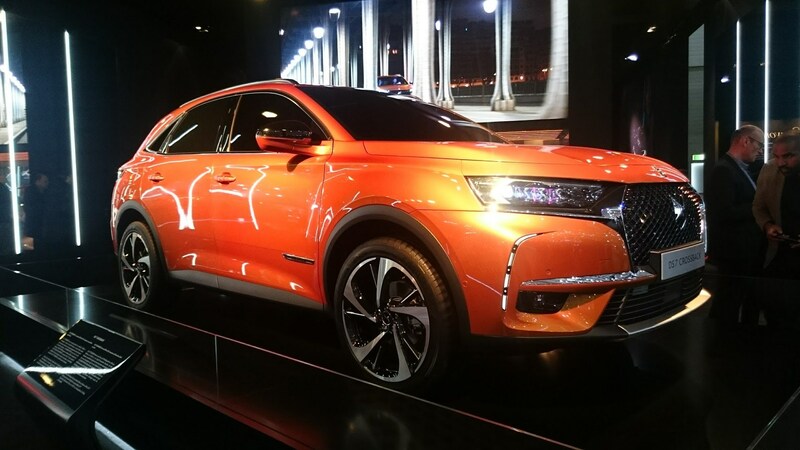 The Crossback is based on PSA's EMP2 platform you’ll find underpinning many mid-sized Citroens and Peugeots, but it’s given various fillips to nudge it upmarket. 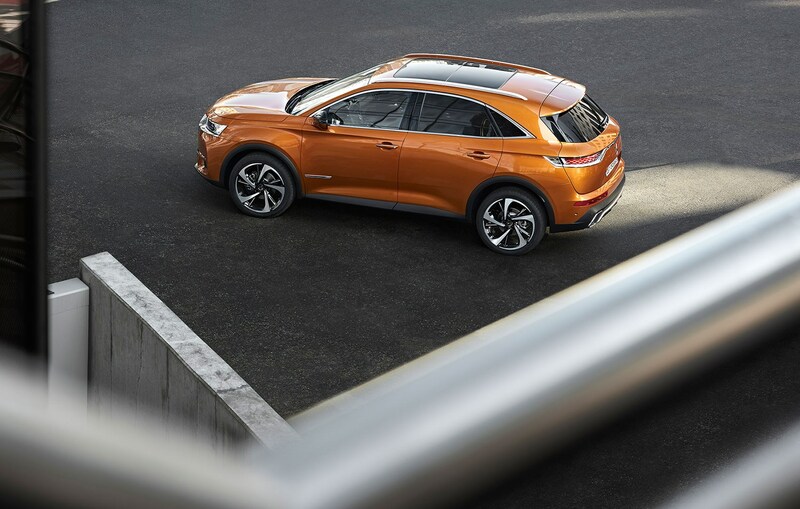 For starters, there’s a new multi-link rear axle to locate the back wheels more precisely plus the DS take on Mercedes’ road-scanning Magic Ride, which uses a camera to detect potholes ahead and soften the dampers appropriately. A little like the original Déesse, non? 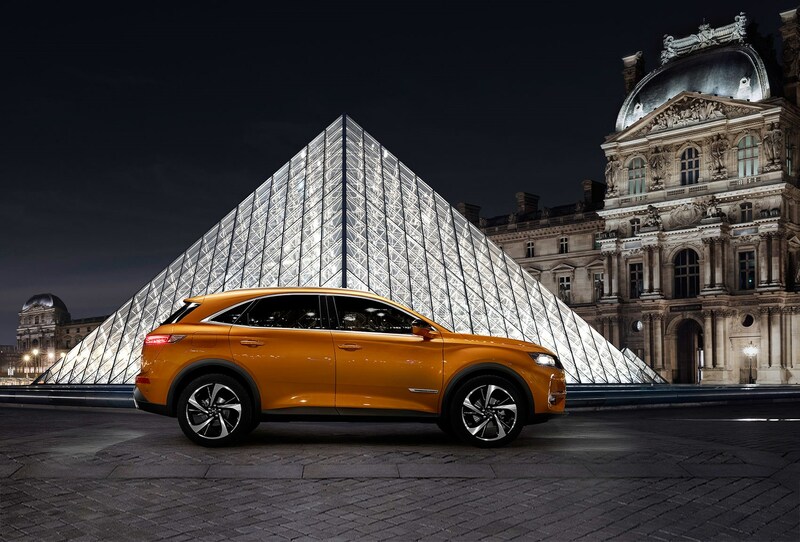 Note also the double-glazed acoustic windows, night vision, massaging seats (with a mode called ‘cat paw!’) and nearly a square metre of leather cladding the doors, armrest and dashboard – trumping all German rivals in the sector, according to DS. The quilted door cards are a neat touch, screaming premium. All are front-drive, apart from the Hybrid with its hang-on rear electric drive axle - turning it into an AWD car. Up front lies the group’s biggest touchscreen – a whopping 12 inches in diameter on the highest-spec models (lowlier ones get an 8in). 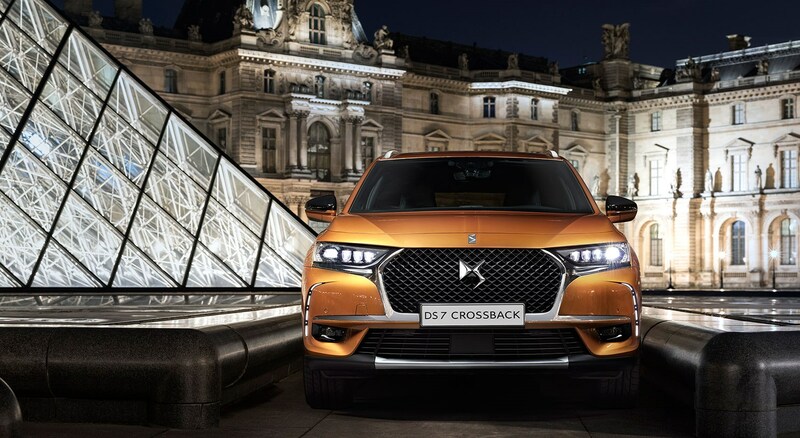 The new DS7 Crossback is aimed at the Lexus NX, Audi Q3, Range Rover Evoque and BMW X1, the French firm says. Right-hand drive production starts in January 2018, with sales next spring from around £28,000.